Meet a truly unique bonsai – a 6-year-old tree that’s as fascinating to learn about as it is to admire. Some have called it “a natural weather monitor” as it closes its leaves when it’s going to rain, gets dark, or becomes too hot. Otherwise, it’s completely unreserved about showing off its lush canopy of gorgeous green leaves. 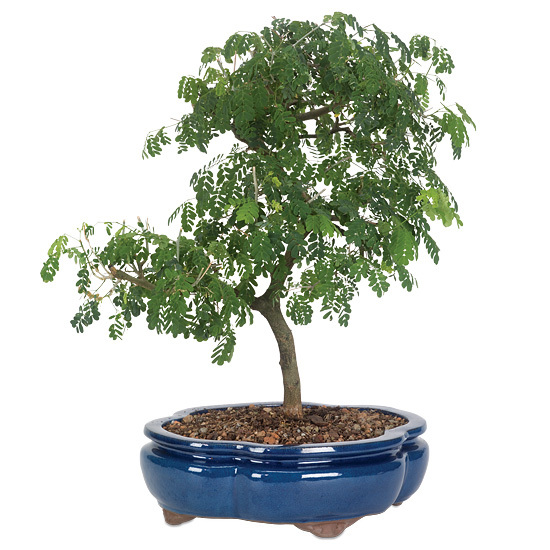 We’ll ship the tree inside a traditional Japanese bonsai pot for years of enjoyment…and conversation. Place in a well lighted area that receives an hour or so of direct sun. Bonsai require consistently moist soil; your plant should be checked daily. Keep thoroughly moist by watering from the top, and allowing proper drainage. 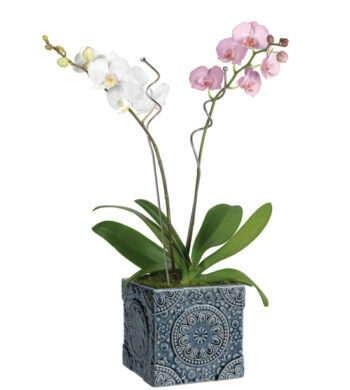 You may fertilize every 6 weeks during spring and summer, with regular houseplant food at ½ strength.